MAXIM® has created a 7mm Personal Escape Rope. 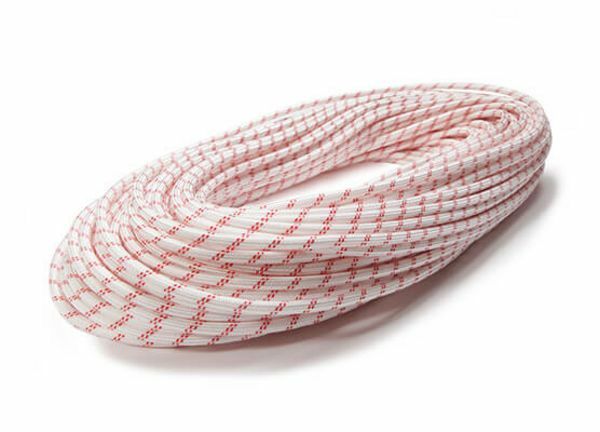 Its stiff 100% nylon construction is engineered for use as a haul line or tag line as well as a small rappel rope for lengthening your raps or as an emergency rappel line when you need to bail out. By popular demand, MAXIM has engineered a 7mm Personal Escape Rope made of 100 % nylon. Its stiff construction resists kinking and hanging up which makes it perfectly suited as a haul line, tag line or small rappel line for emergency rappels. None of these uses would be possible if it were not for its super lightweight and small size. The Personal Escape rope condenses down into your pack and is so light that you won’t even know it’s there, until you’re psyched that it is! Our amazing MAXIM teammates swear by this personal escape rope for hauling bags on big walls and as a tag line for lengthening your raps on long multi-pitch routes. This rope has been part of many of the legendary sends you have read about. Whether you need it for lengthening your raps or as a personal escape rappel line when you need to bail, you need this cord! Made in the USA! These cords are proudly made by expert crafts men and women in our US facility located in Fall River, Massachusetts.